Paris-Saint Germain lost their first game of the season following a 2-1 defeat against Lyon in Ligue 1 competition. French league side Paris Saint-Germain are already facing the adverse effects of talisman Neymar’s injury. The French capital-based team lost their first game of the season following a 2-1 defeat against Lyon. PSG had confirmed recently that Brazilian star Neymar could face up to 10-weeks of being sidelined because of his ankle injury. The Defending champions on Sunday opened the scoring seven minutes into the match, as an unmarked Angel Di Maria latched onto Julian Draxler’s cross before firing home. PSG rested on Alphonse Areola’s heroic performance to keep their advantage for the following 20-plus minutes. The goalkeeper made consecutive saves on shots from Bertrand Traore, Memphis Depay and Nabil Fekir. However, Lyon managed to find an equaliser in the 33rd minute, when Moussa Dembele rose high to nod Leo Dubois’ cross past Areola. Dembele also played his part in Lyon’s second goal. 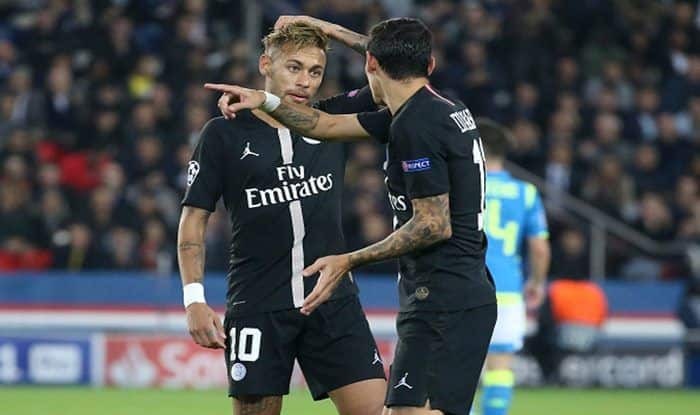 He was fouled by PSG captain Thiago Silva inside the box, and Fekir converted the resulting spot-kick in the 49th minute. Areola’s Lyon counterpart Anthony Lopes shone in the second half by denying several attempts from the league’s leading scorer Kylian Mbappe. Also on Sunday, Montpellier bagged a 1-1 draw with Nimes, seeing Andy Delort’s second-half shot cancel out Nimes defender Loick Landre’s header with just two minutes played.